Reliance Industries Ltd. is an Indian conglomerate holding company involved in textile, energy, refining, petrochemicals, telecommunications, retail etc. having it’s headquarter in Mumbai, Maharashtra, India. Founded as Reliance by Dhirubhai Ambani in the year 1966 in Mumbai as a textile company trading in yarn business, it had its first mill set up in Naroda, Gujurat. In 1977, Reliance textile industries came up with its first IPO and in 1996 went on to become the biggest textile brand “Only Vimal”. As of 2019, Reliance enjoys global presence, being the largest yarn and fibre producer in the world and is among the top ten petrochemical products producer in the world. Starting as a small textile company in a 500 sq. ft. office, Reliance group has translated into a Fortune 500 company in less than 3 decades. Today, Reliance Industries is India’s most profitable private sector company. Through its achievements of the past four decades, the company has managed to reach the super league of global enterprises. Headed by Mukesh Ambani, Chairman and MD, RIL has over 1.8 lakh employees working directly and 50 lakh plus employed indirectly. The workforce of RIL is highly diverse having of over 40% millennial and employees from over 15 countries. Besides focusing on core industrialization, Reliance has been a proactive supporter of CSR activities through Reliance foundation focusing on education, healthcare & poverty alleviation. Reliance has also been an ardent promoter of sports and nurturing young talent in this space. It has undertaken several initiatives to transform the sporting landscape through ISL, IPL, Tennis leagues etc. Reliance industries vision reads, “Through sustainable measures, create value for the nation, enhance quality of life across the entire socio-economic spectrum and help spearhead India as a global leader in the domains where we operate.” According to the company, its growth and success are based on the core values of Corporate Citizenship, Customer value, Respect, One team, Ownership mind-set, Integrity, safety and excellence. 1. Relatively weak financial ratios: RIL at present has a current asset ratio of 0.41 and liquid asset ratio of 0.25. This speaks about improper financial planning and the company’s inability to convert the assets into cash to cover the current liabilities. Inventory days for RIL are as high as 52 days where the industry average stands at 13.56 days. This makes the company invest more capital which might affect the long term growth of the industry. The Price to Earnings ratio stands as low as 18.89 when the industry average is at 55.03 which undermines its stock value and maybe be indicative of a lack in growth potential. 2. Limited success outside core business: The profitability of RIL outside core business is not that successful as compared to its competitors. On the outside, diversification might seem like a valid solution to increase revenues but in the case of RIL, they have been eating up resources. In the case of media services, The Voot app has not been as successful as other online media streaming services like Prime video, Netflix or its direct rival Hotstar. Even the JioCinema app is not that competent as the major competitors in this field are Netflix & Prime Video whose core business is online media streaming. The core sectors of RIL have been providing the major chunk of profits whereas the non-core sectors have not been that profitable for RIL. 3. Less investment in R&D: Given the scale of expansion and size of projects being undertaken, RIL investment in getting the latest technology and R&D is comparatively less. Though RIL’s investments in R&D of Rs.1824 crores in FY18, which translates to just 0.004% of its revenues is much higher than its competitors in absolute terms, it hasn’t led to any significant innovation giving a competitive advantage. The lack of product positioning and undefined unique selling propositions has made it open to attacks from its competitors. The company’s present investment in procuring and integrating new technology and R&D is not in tandem with the vision of the company. 4. No regular supply of innovative products: Despite development of numerous products over the years, they are in defense to products developed by competitors. None of the products have been a reliance innovation which makes the image of Reliance products as counterfeit items. 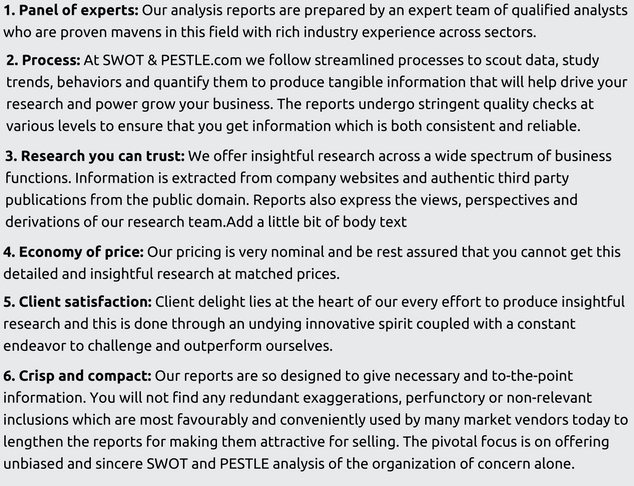 This can be accounted less investment in R&D activities which makes the product line of Reliance seem like a mere dummy of the competitor’s product and perceived as a low quality product by the consumers. Adding fuel to the fire is the irregular supply of products leading to a bullwhip effect on the sales figure and the corresponding supply chain. This opens up an opportunity for new players to enter the market and grasp market share. 1. Political stability in existing markets: RIL operates across several countries on the globe and has to make country specific industrial requirements policies in Oil & Gas operations. Reliance holds a high echelon of political and administrative circles to safeguard the company’s interest and getting the sanction requests obliged. Talking about the Indian scenario, some sort of political patronage is required to successfully establish a mul-billon company. For RIL, in the countries it operates there is a risk of military invasion, but in India there is no disruption of business activities due to military policies or terrorist threats. The level of corruption also affects the business environment due to bureaucracy and interference of government especially in capital goods sector. RIL should also have close association with NGOs, pressure groups and activists’ movement as they play a significant role in influencing the process of policy making to align the community goals with the corporate goals. 2. Importance of local Governments: In most of countries where RIL operates there is not much importance to local governments rather the operations are influenced by the Central government. But in case of India, RIL needs to follow the guidelines of the states and territories to carry out the operational activities smoothly as the local governments have a big say in the policy making. Also, RIL needs to adhere to the resource allocation and time scale norms in the state they are operating. Over or under production may lead to penalties and fines. Also the new Indian policies can be profitable for investment in energy sector. 3. Change in Taxation policies: Incorporation of GST, despite initial hiccups made the system stable and the environment conducive to work. The taxation which was centralized earlier was split into central and state taxes alleviating the State-center fight for taxes. In the last 2 decades, lower taxation policies benefitted Reliance in the western countries resulting in high profit margin and increase spending on R & D. Also some countries other than India are looking at taxation policies to control the carbon footprint in the energy sector. Trade regulation and tariffs play another important role and control the import and export of goods, products and services. These Trade regulations are established by the Country’s government and are subject to change over time. The company needs to closely monitor the countries trade policies and if possible try to earn favored trading partners status to ensure smooth and free trade. 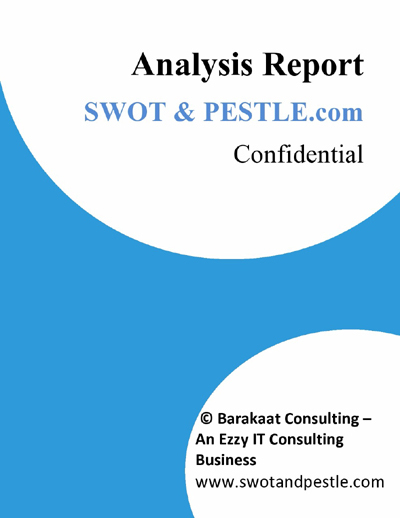 Reliance Industries SWOT and PESTLE analysis has been conducted by Prayaag Kumar and reviewed by senior analysts from Barakaat Consulting. 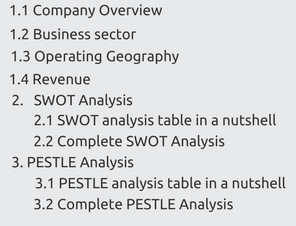 Copyright of Reliance Industries SWOT and PESTLE Analysis is the property of Barakaat Consulting. Please refer to the Terms and Conditions and Disclaimer for usage guidelines.